Yoda and her mother Kit Kat were rescued from the pound. So far this beautiful little girl has only had her mother to love her but she has room in her heart for some people also. 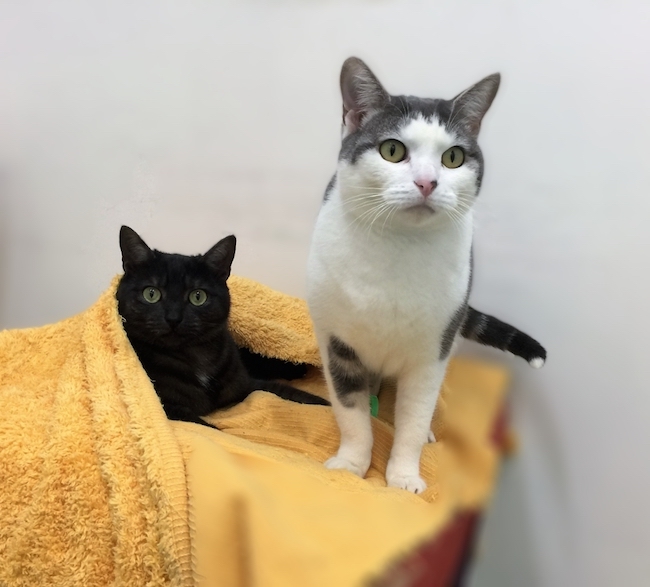 This lovely pair of cats will be a joy to have as a part of a mature loving household. Interested? Cats in foster care are not in the Pound but have been placed in temporary homes with Friends of the Pound foster carers. Please register your interest immediately by contacting our Rehoming Centre on 07 5524 8590, or our Cat Coordinator, Sonia, on m: 0439 766 243 or 07 5590 7284. All cats are sold desexed, microchipped and vaccinated. Please check registration requirements with the Tweed Shire Council or your local council.